Application development is developing as a gainful business with different kinds of mobile operating systems and devices entering the market. Prior, the decision of operating systems that developers designers had was restricted to those like Apple, BlackBerry, and Windows. Presently, with the coming of new platforms for mobile and cross-platform applications picking up popularity, mobile application development has turned into a lucrative field for developers to acquire genuinely good amounts of money. The number of mobile applications competing in the market is infinite. In any case, you can hope to beat the competition, get your work noticed and benefit from your application's sales. If you follow specific standards, you can build up a comfortable niche for your applications, despite the fact that the application marketplace may seem formidable at first sight. 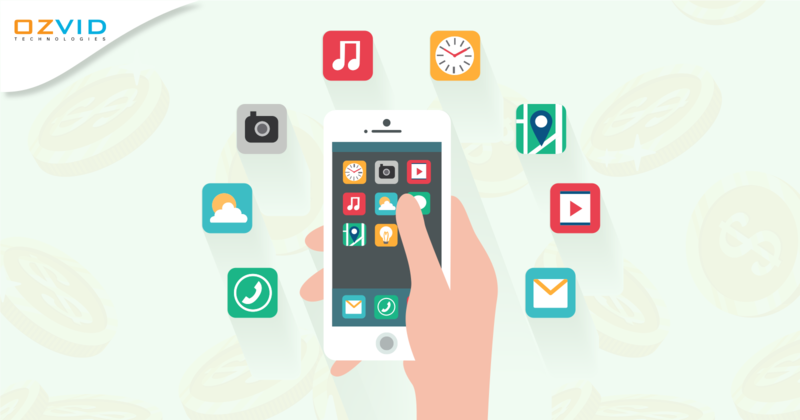 App stores highlight new applications regularly and your application can get exposure through that. However, for potential clients to take note of your application, you need to ensure that the application's quality is superb. Below discussed are some of the proven strategies to promote your mobile applications and make money out of it. Invite Beta Testers: You can welcome volunteers to beta test your application once your splash page is completed. They won't just give you feedback on your application yet, in addition, publicize your app if they truly like it. You can also offer promo codes to your contacts in media channels or the individuals who know influential people in media channels. Such codes will give them a chance to review your application much before it is released in the market. You may even have the ability to ask them to highlight your application on their separate channels when it is going to be released. So you can start to market your application much before its actual release and improve results of your efforts for application development. Create a Splash Page: User traffic gets directed towards your application when you create a splash page for it regardless of what your application deals with. From the initial stages of development onwards, the splash page supports your application like an anchor. You can also expand your initial page and make a website for your app. The splash page for your application should include links to social media channels alongside certain application branding aspects, data on how the application will help users, in addition to the elementary information on the functionality of the application. Provide a Sneak Peek: Despite how little the additions and modifications to your application might be, you ought to inform every one of your visitors about them. This will demonstrate to them how passionate and serious you are about your work. You could also ask for them to share their own ideas, along these lines making more noteworthy enthusiasm among them. You could take part in discussions identified with application development and attempt to get your application featured on blogs focused on application development for your application to get greater exposure. Leverage Events or Contests: Your application gets an introduction in a split second when you participate in a developer contest or take an interest in an event for developers. In the event that you win, you also have a chance to make a lot of cash. For the most part, experts or the individuals who have a considerable measure of impact in the business go to such events or challenges. You can likewise upgrade your chances of making sales since the occasions or challenges give you chances to feature the innovativeness you have brought to your application. Create a Teaser Video: This is another approach to get more traffic for your application. The video can inform your guests about the progress in the development of the application and what the application is about. You do not have to offer the complete application and basically, uncover the work-in-progress version in order to engage your audience. You just need to give a narration that is interesting enough. Participate actively in forums and interact with as many potential customers as possible. Prepare video clippings, pictures, and press releases, among other things that form part of your marketing strategy. The viewpoints specified above cannot ensure success but rather can help manufacture user-centric and better applications that will probably prevail with regards to earning a lot of money.